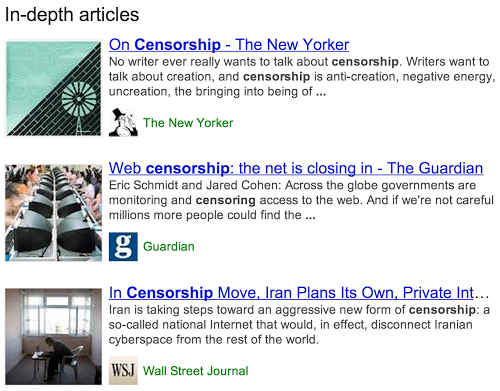 To help you understand in better and broader way, Google Search has now come up with an in-depth article feature, which highlights the smartest articles for ‘broad’ search topics. This means when you now search for a broad topic, you will find a whole new block of results. The company is currently rolling out this new feature. The company initially started pulling out content from the well known publications like The New Yorker and other outlets which specializes in the format, but also promised that it will feature “some great articles from lesser-known publications and blogs.” Just, all it requires is “broader” subject areas.